I have been a part of the PAD community for several years and in this time I have met countless players of varying progression and skill levels. Some of these players possess amazing knowledge and insight for the game and their points of view/expertise are always refreshing to listen to. Today, I wish to focus on one of the most bizarre Arena 1 by my friend Virtual who has a special fondness for the Plessie-bean and using interesting teams. 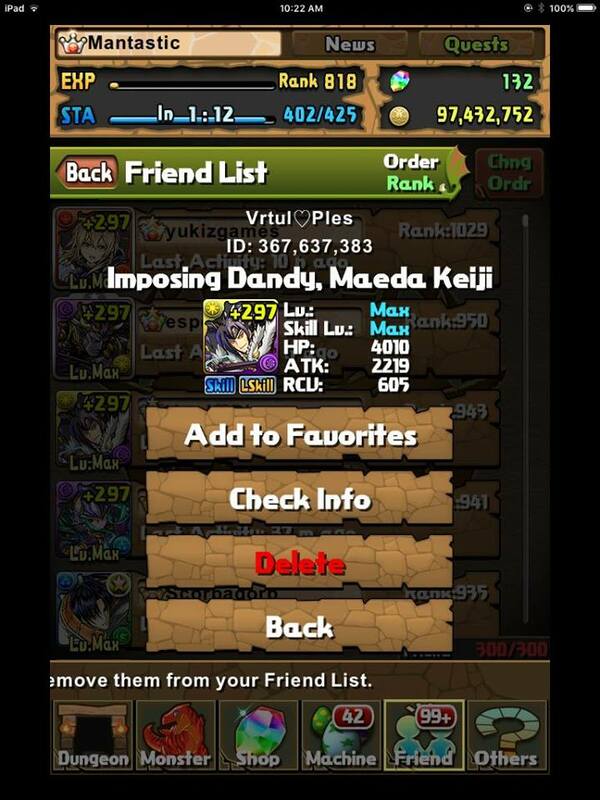 They have been playing PAD for 960+ days while also surpassing rank 940 and acquiring every single ranking dungeon crown. At this point in time, Arena 1 has been turned more into a farming dungeon in that a wide variety of teams are capable of clearing it as it is over a year old. However, very few people wish to utilize the glorious Plessie-bean in challenging content. 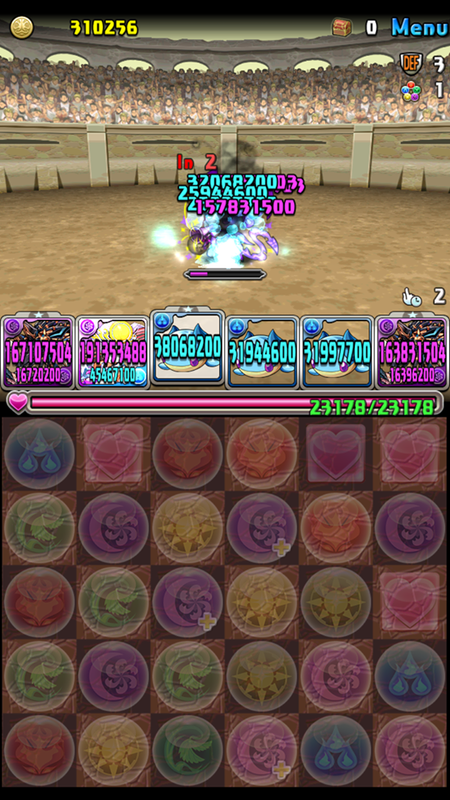 Virtual started out initially using a team of 3 Plessie-beans with dual Anubis as you can rely on the insanely high multiplier while abusing the 1 turn active skill for maximum damage. Those are not numbers a Bean should be hitting, but this is 2017. You may think that this was enough and it would be time to lay the Plessie-Bean to rest, but Virtual is determined to be immortalized and I did promise him that I would do a article spotlight if he did succeed in his greatest challenge: dual Bean leads. Naturally, you already know the outcome of this magical adventure as I am writing about it, but it makes it no less special. Not many people have the courage (or actually own Courage ) to attempt this as you are relying on the 100% water damage reduction after you change the boss’s element. Naturally this team is not consistent nor fast as you are relying on your inherits to kill each floor while stalling for a small eternity on each floor. For the most part, the playstyle is reminiscent of the cheese-Minerva teams as you are relying on 100% resistance after changing the floor to an appropriate colour. However, this team lacks a relevant offensive multiplier and you have to rely on Gravities to get the job done. However, there is a small flaw in this strategy: a lack of SBR and vulnerability on floor 1. Thus, Virtual had to quit and reenter until he found a floor 1 that was populated by two water spawns. Puzzle and Dragons plenty of room for creativity and is one aspect that helps keep people playing even after they have cleared all the content currently available. What is the most bizarre team you have used to clear Arena 1? I’ve been playing for a while but nowhere near the level I should be at – been falling behind a lot of the new content, strategies (finally got my awoken ra dragon). However, love reading all your material Mantastic and hoping I can get more indepth again. Started with about 8 friends playing this for the first 2 years and now only down to 2 of us who still talk and get together to PAD it up. I need to do this bean team! This bean team is not for the light of heart and you have to remember, it took thousands of turns to kill =P Look at Kali, almost 100 turns there! Mantastic, what are your thoughts on buying one of the Puppeteers? I have Minerva, and I guess I could make a cheese team for Arena 3 with Charité. Worth it or not? I already bought Dark Athena and the other ones for sale don’t appeal to me. For what it’s worth, I bought Charite for my own entertainment after getting DAthena. I’ve had my eye on her since I started playing, but she never was “practical” enough for my box. I finally decided that I could own an MP-trophy-monster just because it made me happy. That’s really the best reason, and I think her artwork is gorgeous. But as far as playing with her, is it fun or tedious? I bought her for the Minverva cheese team… tried it a few times, hated it. I love blue though, so I’m glad I have her in my collection. I still need to investigate if there’s any use for her in typical teams with her new buffs, but most likely not so much. I enjoy putting her on my Hermes team – it’s just fun to have that unique mechanic available . . . adds variety to my play, and makes certain bosses a cake-walk. She’s best in longer dungeons, as it takes a few turns to get her active up. Dual bean team only had 70% water resistance? It says that after Courage there is 100% water resist, but the subs only add up to 70% water resist. Did he use actives to cover the 30%?